Paul begins Romans 12 talking about our bodies being a “a living sacrifice, holy, acceptable unto God, which is your reasonable service. And be not conformed to this world: but be ye transformed by the renewing of your mind, that ye may prove what is that good, and acceptable, and perfect, will of God” (Romans 12:1-2). Transforming our bodies comes through following the dictates of the Spirit of God. Allowing light, not darkness, into our lives literally has an effect on our bodies, transforming us into a likeness resembling the Savior Jesus Christ. Teenagers relate with this concept. They have all seen those who have lived lives filled with darkness and how this darkness is reflected in the countenances of those who have chosen this path. The opposite is also true: we all know individuals who are filled with light, whose lives have reflected that the Master and have come to live as he lived and love as he does, at least as well as mortals can. Discussing this concept helps us to visualize what Paul is talking about in the early verses of Romans 12. Paul speaks much of a principle that teenagers can relate with: that of comparing our talents, circumstances, and gifts to others. Paul essentially states that we need not think less of ourselves or better than others because our gifts are different from those around us. He states, “For I say, through the grace given unto me, to every man that is among you, not to think of himself more highly than he ought to think; but to think soberly, according as God hath dealt to every man the measure of faith. For as we have many members in one body, and all members have not the same office: So we, being many, are one body in Christ, and every one members one of another” (Romans 12:3-5). Many teenagers do not even know what gifts they possess- they are still on the beginnings of their adventures in mortality! Indeed, there is much that the youth of this church will accomplish as we work to build Zion in preparation for the Second Coming of Jesus Christ. They have such incredible gifts that will change the world in positive ways! We see this already as so many of them step up to volunteer for missionary service in record numbers. We live in exciting times! The gifts Paul speaks of are for the benefit of the Church and to bless all of God’s children throughout the world. These gifts are a manifestation of his love for all of us and will bring us close to Jesus Christ. It is good to know that this is a vital mission of the Church of Jesus Christ of Latter-day Saints: to spread the love of God to all of his children. We are living witnesses of his love for the whole world. 1.President Joseph Fielding Smith, Answers to Gospel Questions, 2:151; 1:48. 2. Elder Bruce R. McConkie, Mormon Doctrine, 97. 3. President David O. McKay, quoting William James in Conference Report, April 1956, 7-8. 4. 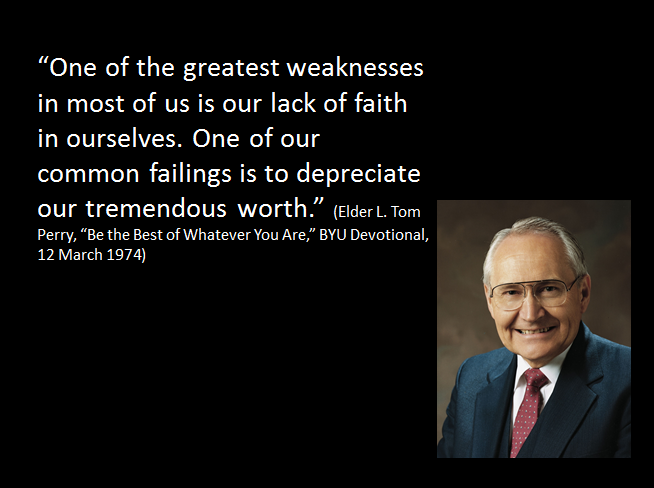 Elder Bruce R. McConkie, quoted in LDS Church News, 26 June, 1993; see also Mormon Doctrine, 97. 5. J.R.R. 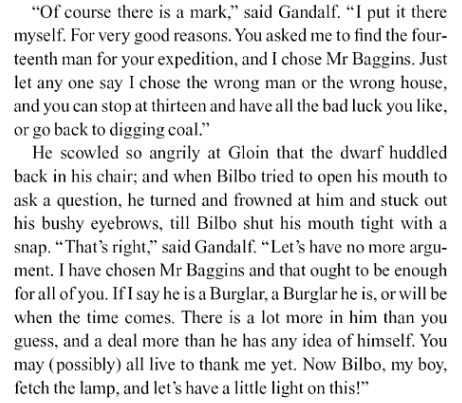 Tolkien, The Hobbit, or, There and Back Again, Random House Publishing, 1937, p. 19. This entry was posted in Gifts, New Testament and tagged applying the scriptures, New Testament, Romans, Understanding Paul. Bookmark the permalink. I’m teaching this section tomorrow-thanks for sharing!